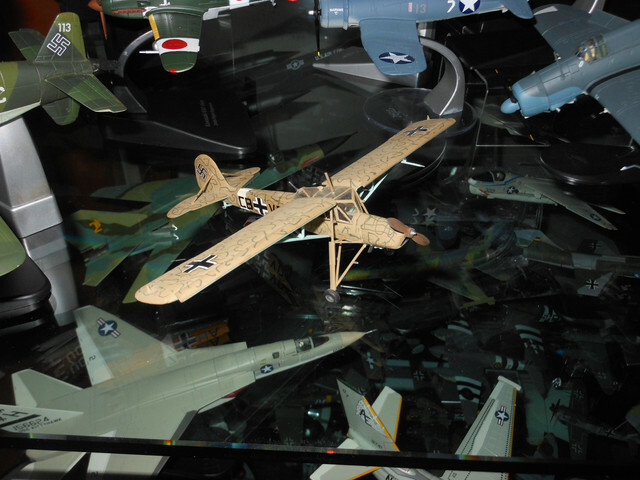 Here are some photos of some of my 1/72 collection in plastic. 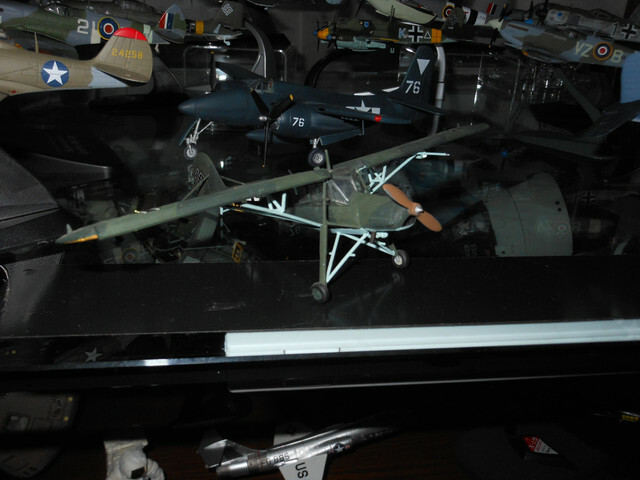 In my opinion these plastic examples of the fieseler storch blow Falcon's away. Just look at the windows....how could anyone glue them on without smudges? Some of my other airplanes are not available in die cast so I had to have plastic. Enjoy! I quite agree. Because my collection has developed into specific themes over the years plastic/resin/vacform has been the only way that I have been able to add to those themes. 2018 additions have included the DH.2 (old Revell kit), DH53 Hummingbird (resin kit), DH Fox Moth (resin kit), Polikarpov Po-2, Polikarpov I-16, MiG 19, Tigercat prototype (Monogram kit), Focke Wulf Fw 56 (old Heller kit), Fairey Firefly (Special Hobby kit), Bristol Beaufort (old Frog kit) and the Westland Wallace (again an old Frog kit). I have bought just three diecast this year, two from Oxford (Stuka and Halford Meteor) and the most recent was the Atlas Me110 which is a re-boxing of the IXO tooling and for the money very reasonably done. I am definitely one of those that has been left behind by HM's focus on modern pointy things. I know they sell and good luck to them, it is just not where my interests lie, which in recent years has been best served more by Oxford than anybody else but with the notable reduction in their release programme in the last year has meant that I have turned to the kit world to fill the breach. I started to look toward tank kits cause to, mainly, the last releases from Dragon Armor... And to have models i want. As long as some models will be a sort of pipe dream due to the cost or because they can't be found anywhere the kits are the best option expecially if the modeller is good. I'm doing a lot of plastic modeling just because it is cheaper. Yes, that is very pleasing to the faceticles. If you aren't sure if you can do plastic modeling, get some 1/35 Tamiya Shermans. Easy to put together, easy to paint, and a lot of fun. 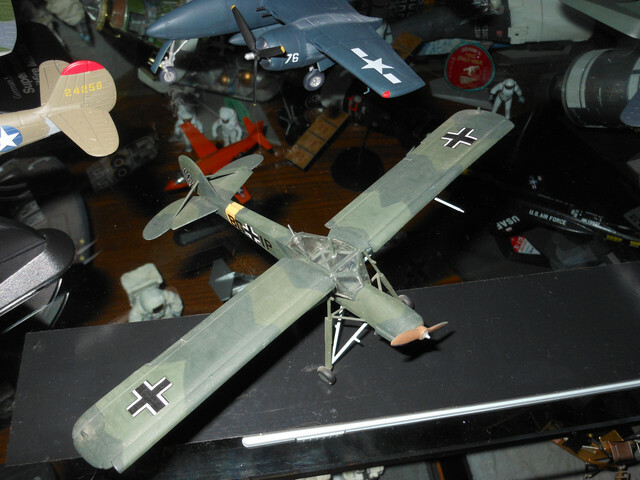 ptraney, do you remember the name of the manufacturer of your Fieseler Storch plastic kit models? Because I like all my models to have pilots/aircrew in them I didn't buy a Falcon model, although I would have liked the Mussolini rescue aircraft. In the circumstances, I purchased a Smer ( Czech?) plastic kit. The quality was, in my opinion, really poor and the instructions pretty woeful so I ended up making a real mess. I purchased another kit and learning from my original mistakes managed to complete a relatively ok effort. I like the look of your desert effort. It does amaze me that a decent Me 410 has never been made in die cast. I know that there was a fairly poor effort under the De Agostini brand and I have therefore made plastic kits by Italeri which give a decent end result. 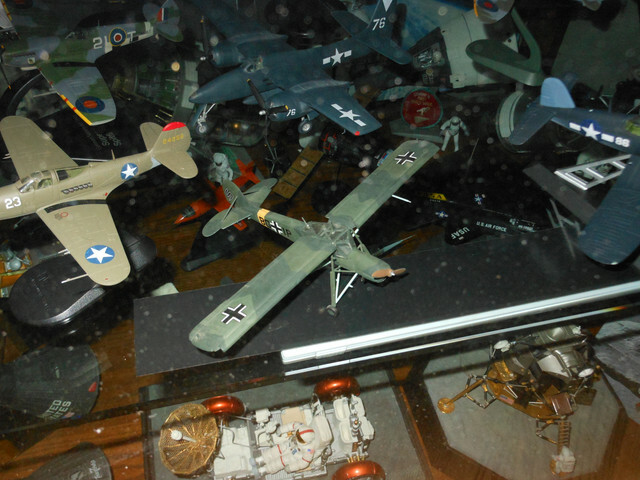 I have quite a few built plastic models in my collection..........not so much to do with cost but more to do with availability . I stopped building when I realised I am not quite good enough, especially when it comes to painting. Some diecast models are just way too inaccurate and are better built by someone why knows the correct spec. 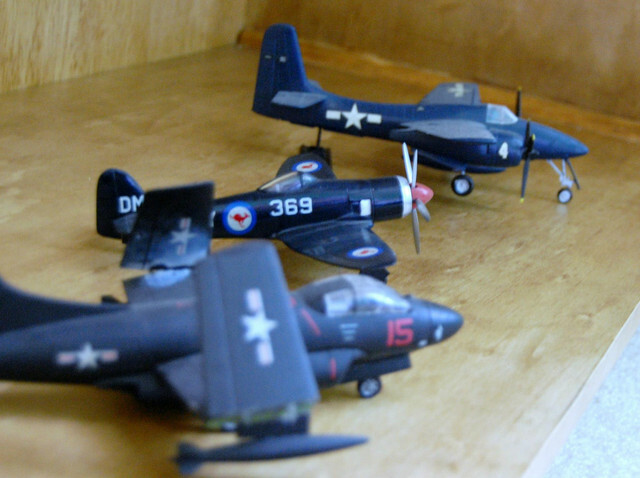 Some models are unlikely ever to be released as diecast......like the Swift, T-45, F-111B, Valiant, F-89 Scorpion and Venom but I have been wrong many times. The problem with built kits is with getting them here undamaged. I am buying a few code 3 items nowdays as a way of getting that "just right" diecast. 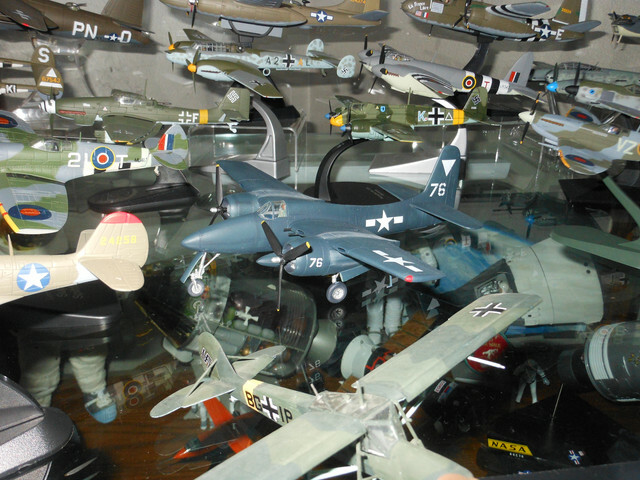 Any model in a collection has to be acceptable to the collector . Plastic is not better it is just different. If you want added detail then for the scale size a plastic construction kit will always win - providing of course the model maker is up to it. 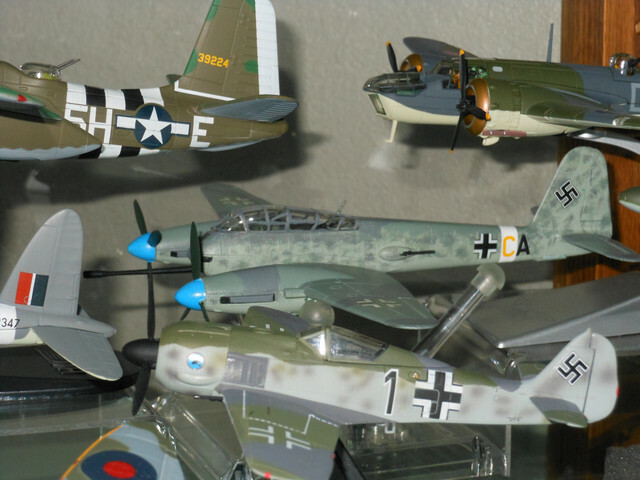 I used to enjoy making models but once I reached fifty my eyesight was just not up to the level of detail I was after and I sold my models - about 1000 - and started collecting diecast. Never really looked back. One of the great things with diecast models are how they "feel". My brother-in-law still dabbles with "kit-bashing" but when I picked up one of his models it felt so lightweight and cheap whereas I pick up one of my diecast models and it feels solid and expensive (which these days unfortunately it usually is). So is plastic better? - no, its just different but ultimately its about whatever you enjoy collecting be that plastic, resin, diecast or whatever medium works for you to produce the models that you feel most comfortable with. I am sorry but I bought those on ebay and do not know. I used to have a DA but it was an Me-210 and when I obtained the Me-410 I sold it. I agree with you totally! I can not build good enough for my high standards! A very well built or pro built kit beats diecast hands down imo. No gaps/panel line trenches, better stencil detailing, usually some weathering, better cockpit detail just to name a few advantages. They dont feel as nice in the hand, and are much more fragile, but you dont handle them pretending that they're rolling down the runway whilst giving it an audible nnnnnnnnnneeeeeeeeeaaaaaaaaawwwwwwww do you? ?..............................do you?? 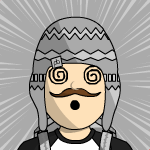 giving it an audible nnnnnnnnnneeeeeeeeeaaaaaaaaawwwwwwww do you? ?..............................do you?? I wonder what a 1/24 Typhoon in diecast would cost? Yep plastic is good for some models especially the larger ones or the obscure types. I do have one or two in the cabinets but generally speaking I regard them as entertainment in my second childhood and of a temporary nature due to the amount of dust they attract and the damage that occurs when dusting them. That said, I haven't thrown any out yet. 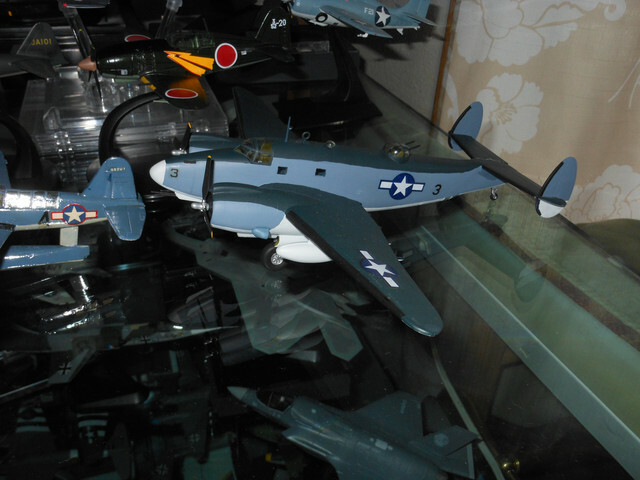 There was a modeller on another forum, a very good one who said that he threw each one away when they were completed. When I was in my first childhood I at least had the decency to use an air rifle and/or gun powder to get rid of them. "Vous êtes un cuistre, Lefuneste!!!" I enjoy building plastic kits. There is something about looking at a well built model and knowing "I built that". 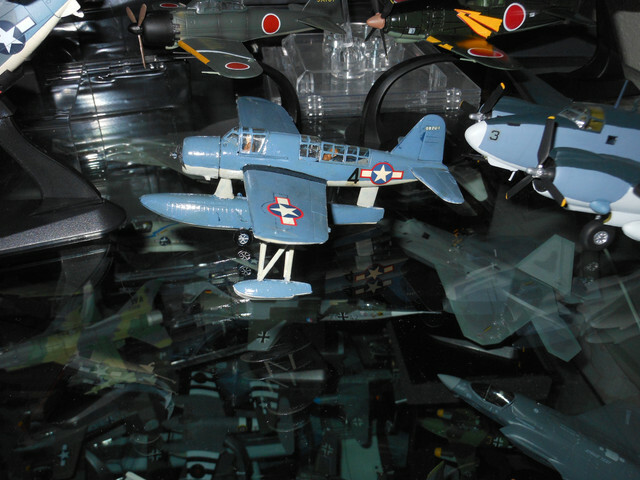 If there is a plane I want, but I don't want to commit the time to building it, I will buy the die-cast. But if a certain plane or scheme aren't available in die-cast, I have no reluctance to building a kit to get what I want. My builds are usually on par quality wise with most die-cast models out there, so I don't see plastic kits versus die-cast as a case of "which is better?" "Be without fear in the face of your enemies. Speak the truth always, even if it leads to your death. Safeguard the helpless and do no wrong. That is your oath..."
Looking without getting caught is an art form and a skill in its own right. Touching on the other hand invites ALL KINDS of TROUBLE! My philosophy has been its OK to window-shop as long as you don't test the melons, and I have to say it has served me well.